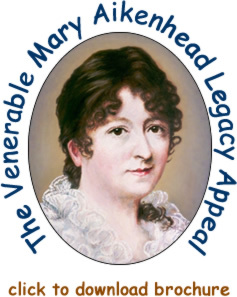 Your legacy could help support the work of Scotland’s oldest and biggest Hospice. St Margaret of Scotland Hospice provides care to patients with advanced life-limiting illness, to older people with complex medical and nursing needs, and to their families and friends. The free care given to our patients costs £5.5 million pounds each year. St Margaret of Scotland Hospice must raise more than a third of those running costs through voluntary fundraising and donations. A gift in your will, however large or small, is a gift to the Hospice to support its work. A will demonstrates your intentions. It is the only certain way of ensuring your wishes are carried out in consideration of your family and friends. A will, stating your clearly signposted intentions, gives you and your loved ones peace of mind both now and in the future. To make a will or to change your will, you must take legal advice. St Margaret of Scotland Hospice can help by booking an appointment on your behalf with participating legal firms. You can also discuss the process of making a will independently. Discussing implications of your will with immediate family. Preparing a document listing your assets (what you own and the value if possible) and liabilities (what you owe). Preparing a document that will help you and your family understand what your estate (what you own minus what you owe) will be worth. Ensuring your will reflects your up-to-date circumstances and wishes. If you die intestate (without making a valid will) the state will impose intestacy rules which may conflict with your wishes. If you are mot married or in a civil partnership, your partner may not inherit your estate if you haven’t made a legal and valid will stating your wishes. Almost 70 years on from its humble beginnings in 1950, the Hospice now offers specialist palliative care and end of life care for people with life-limiting illness and their families. The history of the Hospice is one of innovation, hard work and compassion. We serve a catchment area of North West Glasgow, and East and West Dunbartonshire. The next chapter of this community-led success story can be enhanced by your generosity, by leaving a gift in your will. A gift is a demonstrable way of showing that you support the work of St Margaret of Scotland in providing specialist care and support to those who need it within your community. Everybody at St Margaret of Scotland Hospice – the patients, their families, and all the staff and volunteers – greatly appreciates the contribution your gift would bring. There are three types of gift available to those looking to leave a legacy with the Hospice. Pecuniary – leaving a specified amount. Specific non-monetary gift – leaving a particular item. A recent legacy allowed the Hospice to modernise and extend the Garden Room conservatory restaurant, enhancing the Hospice experience for patients, families and the wider community. If you would like more information about making a Will or remembering St Margaret of Scotland Hospice in your Will, please contact fundraising@smh.org.uk or telephone the Hospice on 0141 435 7018. If you require more information on this important decision there are various websites that you can visit including: Directgov, Scottish Legal Aid Board.